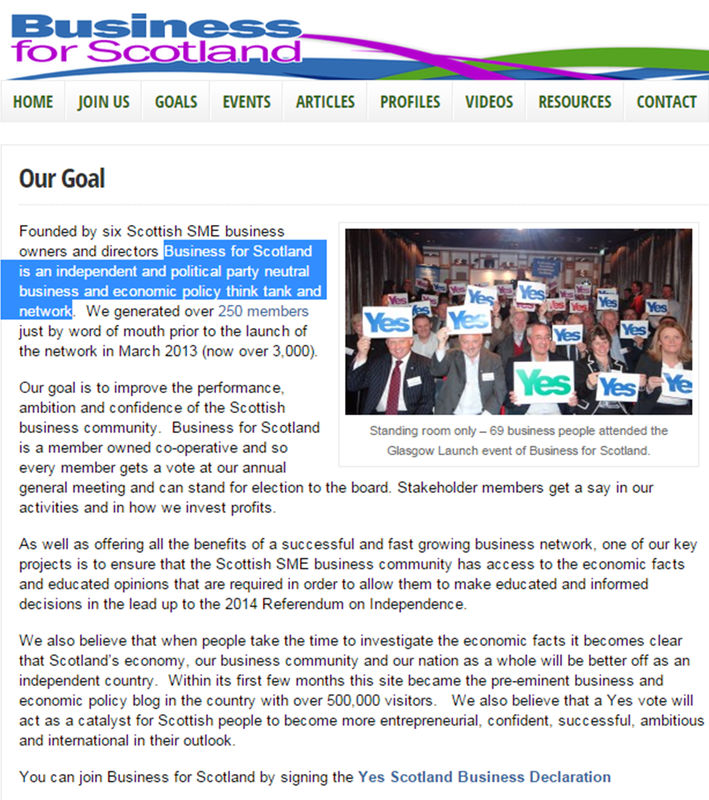 "Business for Scotland is an independent and political party neutral business and economic policy think tank and network"
Now obviously Business for Scotland is a non-political organisation - they make that very clear on their website. It's true that one of their founding Directors (Jim Mather) is the former SNP Minister for Enterprise, their CEO (Gordon MacIntyre-Kemp) is a failed SNP local council candidate and the First Minister is fond of using them for photo-opportunities and is attending their annual fund-raising dinner - but I don't think one can necessarily conclude from that that they're some sort of poorly disguised SNP campaigning vehicle designed to give the Independence case a veneer of business credibility. I imagine Ivan McKee of Business for Scotland simply felt he should intervene out a sense of civic duty rather than because somebody suggested he should. Throughout the campaign they tried to position themselves as politically neutral and many media outlets appeared to swallow that line. Is it just me or is there a trend emerging here? There may well be more, these are examples that have simply washed up in front of me. Maybe they should update this statement on their website? Oil & Gas: Will We Ever Learn? That the current oil price crash exposes the weakness of the Yes camp’s economic case is undeniable, but those of us who argued against independence on the grounds of economic rationality would do well to avoid gloating. If we were currently experiencing a short-term price driven boom, the economically literate and rational among us would be arguing that we shouldn't make long-term judgments on the basis of short-term price fluctuations. So instead of over-reacting to today's oil price, let's instead take this as an opportunity to reflect on how the economic case was presented by the Scottish Government and whether the electorate were suitably informed when votes were cast. First of all it's worth noting that neither side of the Yes/No debate is celebrating the oil price decline. Even if we discount some of the more sensationalist headlines (North Sea Oil Industry Close to Collapse), measured voices such as Sir Ian Wood (North Sea Oil Collapse Fears 'Too Dramatic') and Oil & Gas UK (Oil & Gas UK have warned of up to 35,000) are warning of 18,000 - 37,000 job losses. Whilst the ever excellent David Smith argued in the Sunday Times (Relax: Lower Oil Prices Will Be Good For Growth) that the oil price slump may benefit the UK economy (because the UK is a net importer of Oil & Gas), nobody who cares for those employed in the industry will be celebrating the current market conditions. Looking back to referendum debate I recall plenty of us complaining about the oil & gas forecasts in the White Paper (alongside many other complaints about the lack of a credible economic case) but hindsight can play tricks on us - so I have revisited the question using contemporaneous data sources. The first and most obvious point worth making is that nobody predicted a price crash to today's levels. There are a lot of data points on the chart below but the overall message is simple - the price levels used in the White Paper (blue line) were at the high end of available forecasts at the time but no forecasts were as low as the prices we are now experiencing and expecting (the black line). Full sources and explanations are given at the foot of this post. 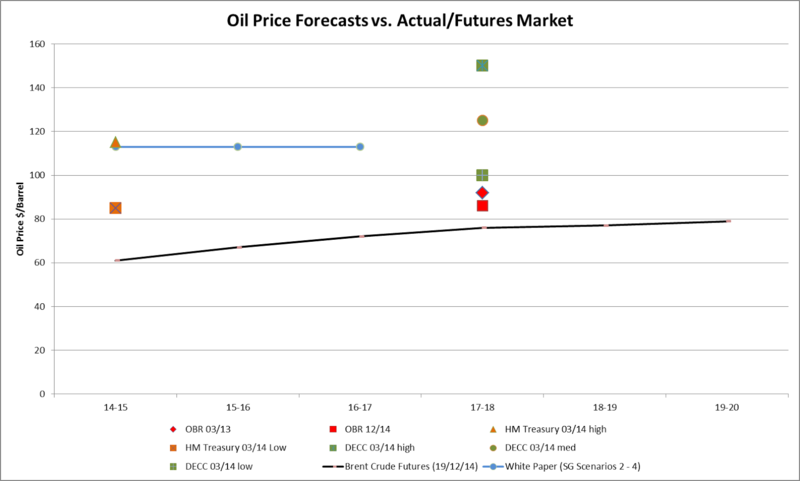 Of course there is a very efficient market in oil price futures so we can look back to the time of the White Paper publication and see if the price assumptions used were consistent with market expectation back then. The chart below shows the expected market price for a barrel of oil in December 2017 based on the Futures Market Price over time. The blue lines show the $113 assumption used in the White Paper and the White Paper publication date; it shows us that the price assumption used in the White Paper did indeed fairly reflect market expectations at that time. 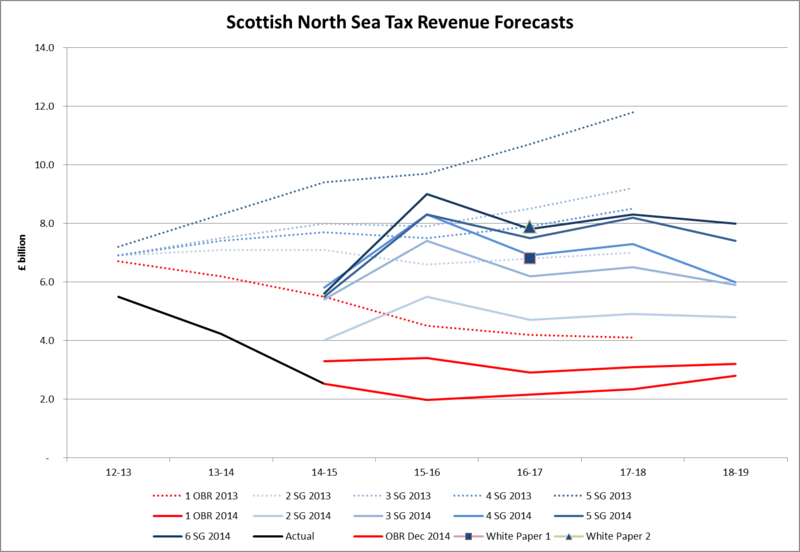 Of course revenue is a function of both price and production volume, so let's look at revenue forecasts produced at the time of the referendum debate. In the chart below, blue lines are Scottish Government Scenarios (as per the Oil & Gas Analytical Bulletins in March 2013 and May 2014) red lines are OBR forecasts, the black line is the actual outcome. The dotted lines represent forecasts as of 03/13 and the solid lines as of 05/14 (i.e. periods bridging the publication of the White Paper). The two highlighted data points in 2016-17 are the two scenarios the Scottish Government chose for the economic forecast used in the White Paper. It's a pretty graph, isn't it? But let's consider what it is illustrating. Now let us pause and reflect on this. The White Paper was produced by the Scottish Government; this means civil servants should have ensured that it didn't become an SNP manifesto or a case weighted unrealistically in favour of independence. Similarly the Oil & Gas bulletins should surely be impartial assessments of the economic outlook we face? It's hard to look at the graph above and not conclude that the scenarios presented in May 2014 were manipulated to try and support the White Paper scenarios. This civil service failing has been covered by others (notably John McTernan: White Paper Damns Civil Service) and extends well beyond the issue of North Sea tax revenue forecasts - but this graph alone is surely a compelling illustration of the need for an OBR equivalent independent fiscal watchdog in Scotland. Maybe we could call it the Scottish Office for Budget and Economic responsibility and task it with providing SOBER assessments to inform policy makers and votes? It gets worse; even if we take the Oil & Gas scenarios as objective forecasts produced in good faith, how can the two scenarios chosen for the White Paper be justified? Any business person will tell you that scenarios should be used to provide an illustration of the range of likely outcomes, to stress test the plan and ensure that the a downside scenario can be weathered. During the Independence referendum the Alex Salmond claimed "There can be little doubt that Scotland is moving into a second oil boom" and there were forecasters who shared at least some their optimism (e.g. 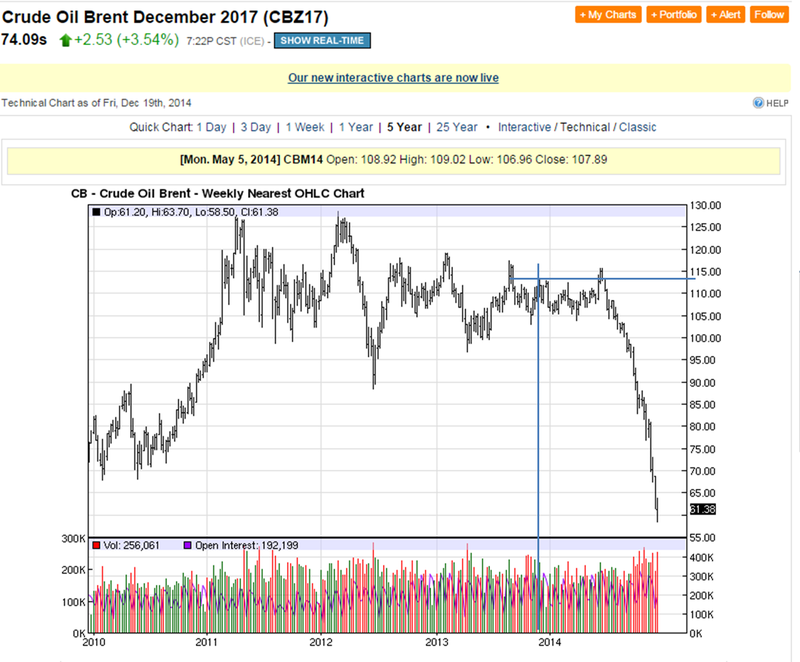 the OECD The Price of Oil - Will it Start Rising Again?) so it is perhaps understandable that yes camp pushed for a bullish scenario in the White Paper. But what about a conservative scenario? If you produce six scenarios in the Bulletin you should surely include at least one that reflects a worse case than the OBR forecast? Given the credibility of the OBR within the UK surely at the very least that forecast should be used as a base case? In effect the Scottish Government White Paper presented two scenarios for North Sea tax receipts: "Optimistic" and "Hopelessly Optimistic". Look again at the graph above. The White Paper "low" scenario for 2016-17 is £3.9bn higher than the OBR forecast that existed 6 months before the referendum. That's more than double, that's £734 per person or (to use the "over 5 years" methodology Alex Salmond used when propounding his Shameless £8bn Lie) that's £19.5bn over 5 years or £3,700 for every man woman and child in Scotland. Remember: this is not hindsight. There were voices of reason at the time counselling that the Scottish Government’s forecasts were extremely optimistic (e.g. in the FT The Scottish Government is Misleading Scots about Oil) and the figures I'm using above are simply the OBR forecasts that were available at the time - the shortfall between the White Paper "low" scenario and current OBR forecast is even greater. 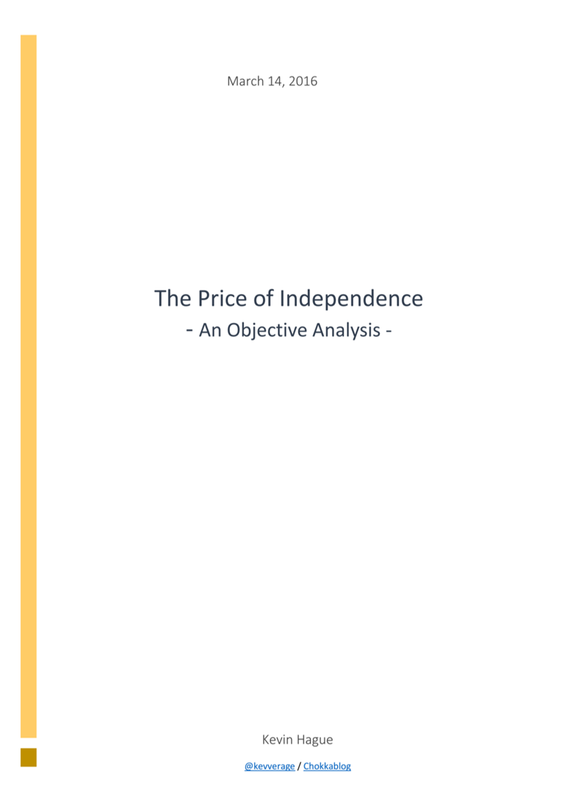 Some of us argued against independence in part on the basis that an independent Scotland's economy would be over-exposed to this volatile commodity, we argued that the White Paper failed to make an economic case and that the economic risks were not being honestly presented to the Scottish voters. There were many other warnings being offered (e.g. around employment, currency, uncosted White Paper promises etc.) but the current oil price shock certainly provides a dramatic illustration of the point some of us were trying to make. 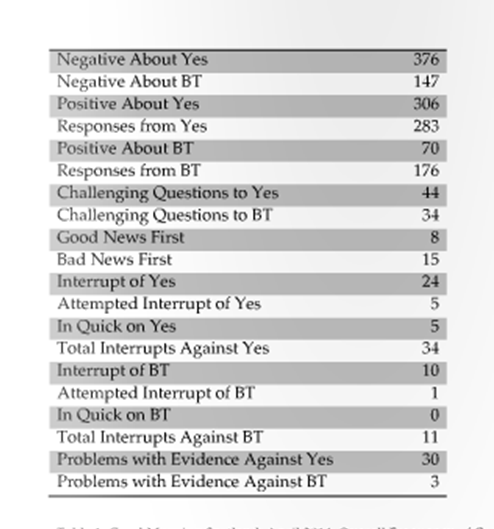 More thoughtful Yes voters might consider whether countering those rational observations made at the time with the simplistic, projected opinion that we were in some way suggesting Scotland was "too wee, too poor, too stupid" might not have been the most intelligent way to debate the issue. We weren't "talking Scotland down" or suggesting oil was somehow not an asset; we were simply trying to ensure that referendum votes were cast knowing the very real economic risks an independent Scotland would face. Maybe next time (if there is a next time) we will succeed in having a more rational and informed debate, that those who counsel for rational economic assessments will not simply be shouted down and accused of negative campaigning. The black line on the chart below shows the current market expectation based on the Brent Crude Futures market (Futures markets are of course not infallible, but they do provide a truly independent, market based 'Wisdom of the Crowd' forecast as of today). Alex Salmond has declared his intention to stand in the constituency of Gordon in Aberdeen for a Westminster seat at the 2015 General election. The voters of Gordon should be aware that our erstwhile First Minister is quite happy to lie to win votes. If you think that's an extraordinary accusation, let's take a look at his assertion that Scotland would have been £8bn better off over the last 5 years if we had been independent. He certainly repeated it often enough. AD: "....for 22 out of the last 23 years Scotland has spent more than is got in"
So this wasn't a one-off slip - the £8bn figure was drilled into the consciousness of a significant proportion of the electorate. Those who believed it were gulled. 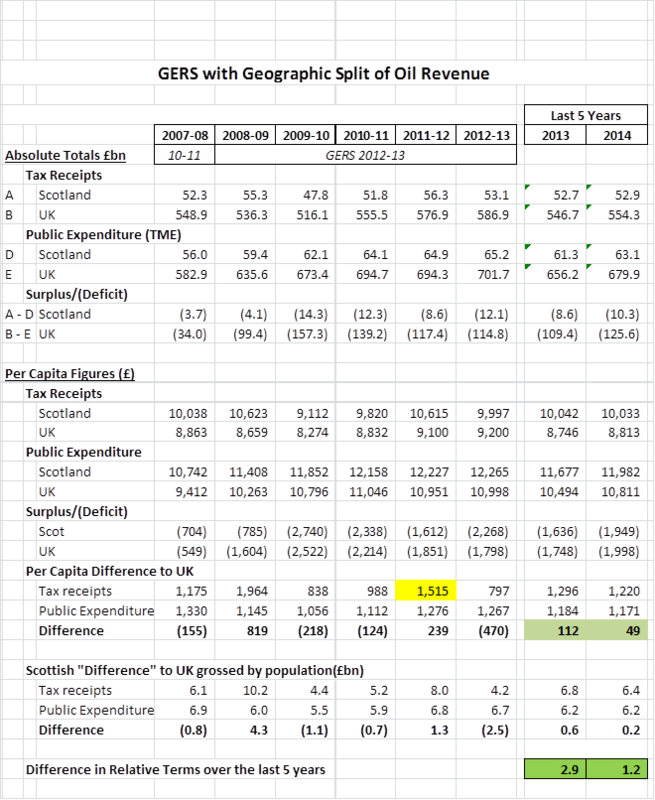 I highlighted these outrages against data at the time of course (The £8bn Misdirection and £8.3bn Better Off?) 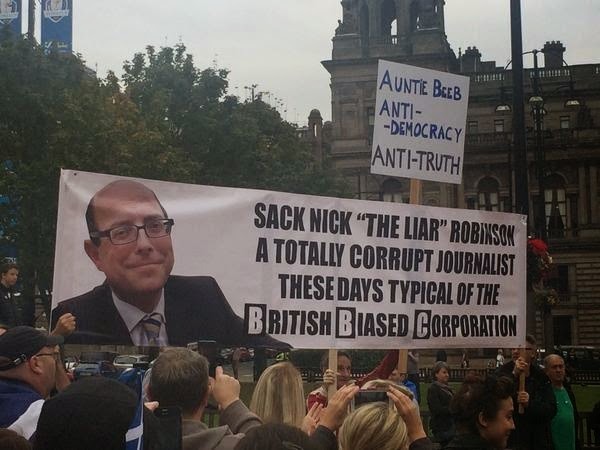 but this blog can hardly challenge the SNP's PR machine (and - I have to say - the failure of either the Better Together campaign or the Main Stream Media to call him out on it). Checking these figures is a very straight-forward exercise: the argument has nothing to do with changes to expenditure - it is simply about "more into the Treasury than we have had out of it, in relative terms - we are talking about historical actual figures and we know there is no debate about how costs or revenues were allocated as GERS is the source cited (by both Salmond and Business for Scotland). The GERS figures present "Scotland" and "UK" - the figures for UK of course include the figures for Scotland. For those who care I repeat the analysis using rUK = [UK - Scotland] at the foot of this post; it doesn't make much difference. 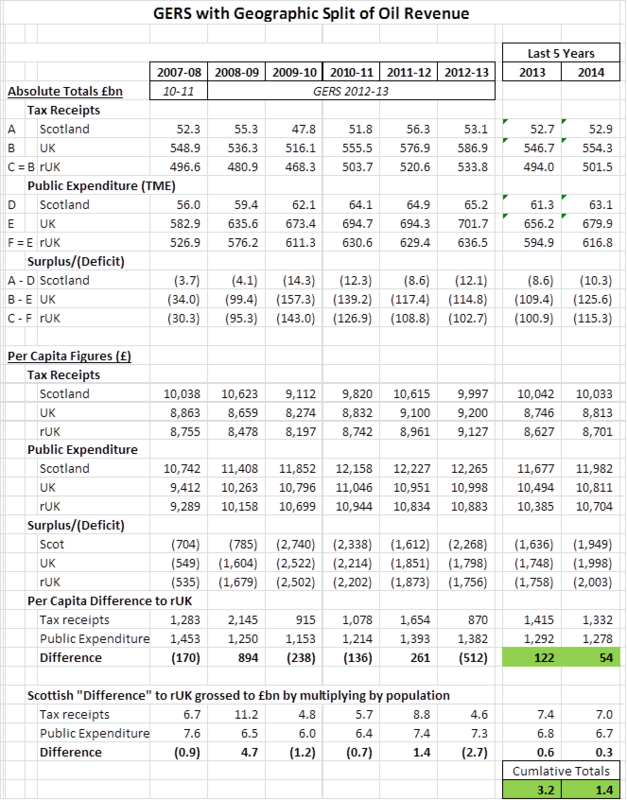 The other figures are simply a function of these data and are presented below in the simplest form I can manage whilst still providing audit trail clarity. The figure was never £8bn. In fact by the time he was speaking to his biggest audience during the TV debates the true number was £1.2bn or an average of £49 per person per year. 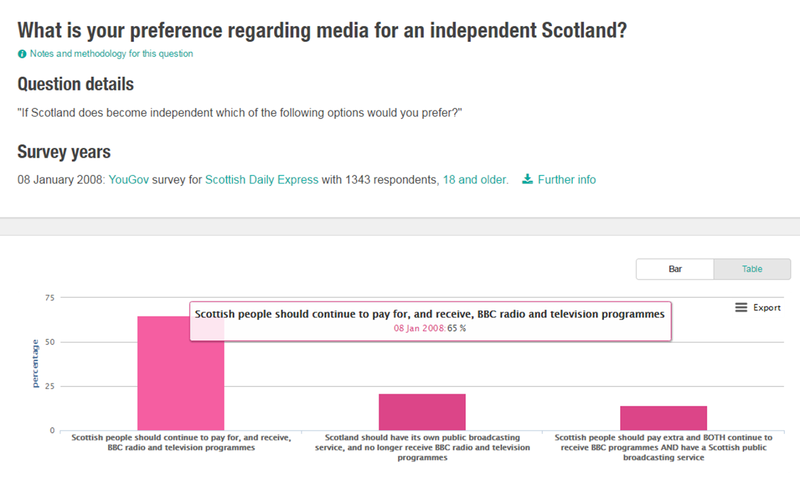 I think its fair to say that £49 per person is not a figure that has stuck in the minds of #the45. I've highlighted the £1,515 as we often hear that Scotland contributes £1,500 more per person in tax than the rest of the UK. If you attribute Scotland its geographic share of oil revenue that was true in 2011-12; the 2012-13 figure was £797 (which meant that the additional tax revenue generated generated fell well short of the additional public expenditure received, hence Scotland was running a higher deficit per capita than the rest of the UK in 2012-13). 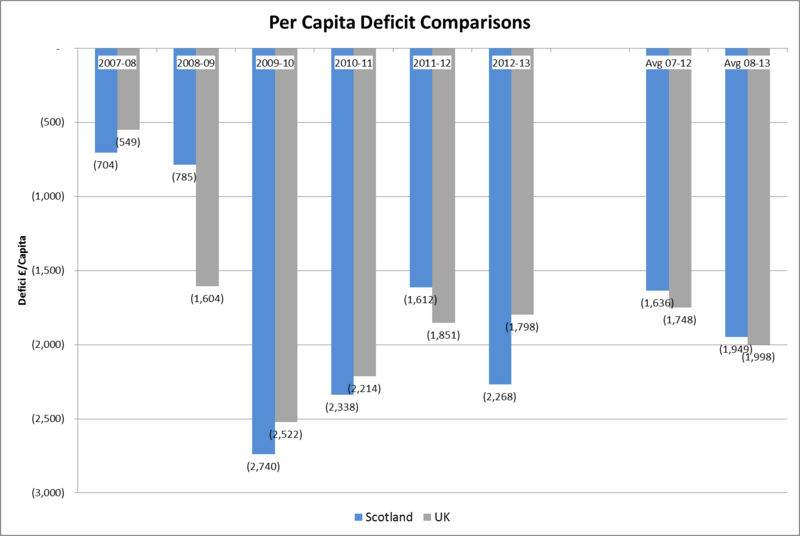 The chart below shows these per capita deficit comparisons in graphical form (remember in all cases Scotland is given the benefit of its geographical share of Oil revenues). Note the higher volatility of Scotland's deficit (because of the higher dependency on Oil revenues) and that in the most recent year Scotland ran a materially higher deficit per capita than the UK. Of course with oil revenues plummeting we can expect that relative deficit to have deteriorated even further when we see the 2013-14 figures - but Scotland voted to remain in the UK so we are protected from the implications of that. But I'm drifting away from the £8bn lie. As a result of my blog post at the time (The £8bn Misdirection) and a live radio debate (John Beattie's Radio Scotland show) with a representative sent by BfS we know how the Yes campaign try to defend the £8.3bn figure. 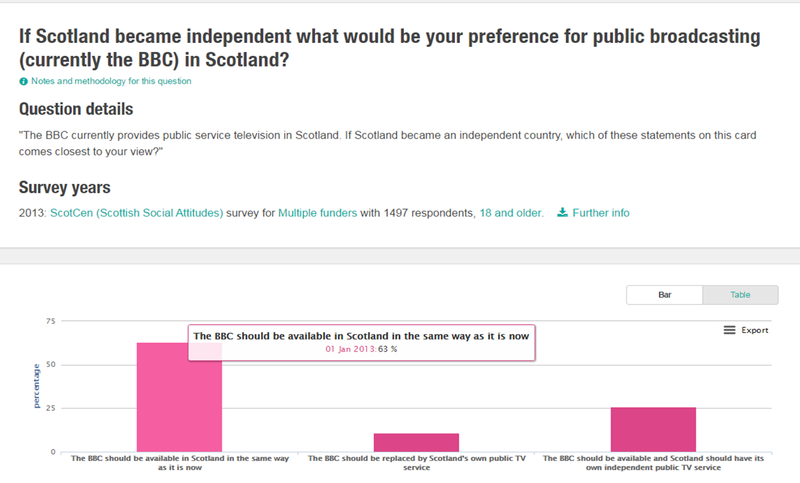 Read that blog post and the comments to-and-fro with Ivan McKee of BfS if you don't believe me but what follows is honestly how they get there (the radio debate also confirmed this but unfortunately is no longer on iplayer). 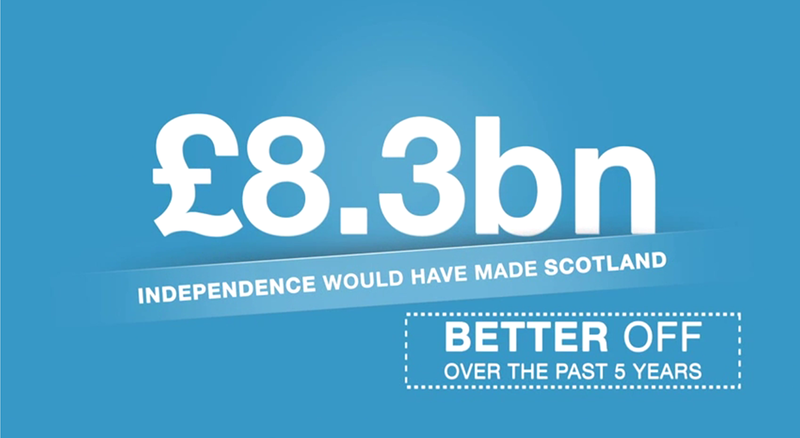 So Alex Salmond's hypothesised independent Scotland would have been "£8.3bn better off" by spending £8.3bn more and running an even higher deficit. As a direct implication, instead of being responsible for our population share of the debt we would responsible for our Tax receipt share (we are allocated our cost of the debt on a population share basis). Alex Salmond was saying that over the last 5 years an independent Scotland could have spent £8.3bn more, run an £8.3bn higher deficit than the GERS figures show and been responsible for an additional £8bn debt. He either thinks that would have meant we'd have been £8.3bn better off or - as a qualified economist - he knows that's nonsense and he's willing to lie to win votes. That should maybe give the voters of Gordon pause. 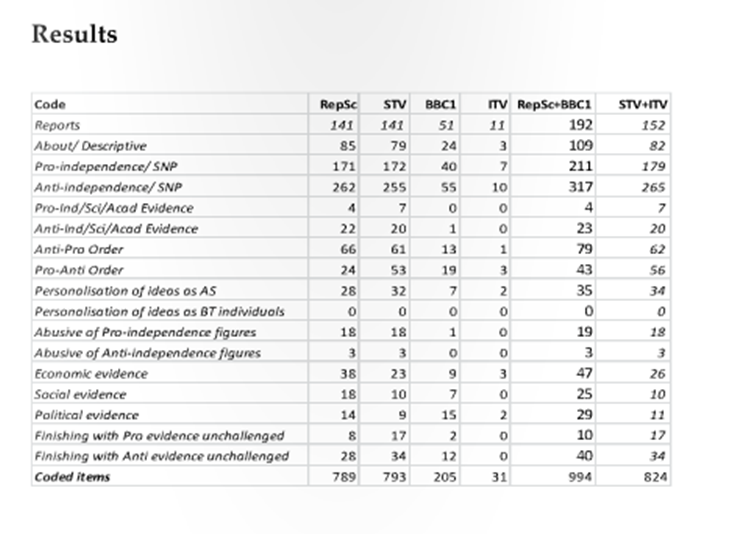 Below - for completeness - the longer form analysis comparing Scotland to rUK. It makes very little difference. I try to avoid writing these posts during working hours as I have a business to run; but this morning I was forwarded a link to this Scotland Tonight interview and it irritated me so much I have to get this out of my system. It features our old friend Gordon McIntyre Kemp, Chief Executive of Business for Scotland. I will resist an ad hominem attack and I've said my piece about Business for Scotland and their Smith Commission Submission so let me focus instead here on the specific question being debated, that of income tax devolution. I could take apart McIntyre-Kemp's arguments one-by-one but frankly what's the point? We know he leads an organisation who's very raison-d'etre is to campaign for independence and more powers for Scotland. That's fair enough; he and his members are entitled to think that way. Unfortunately for them they are not in tune with the democratic will of the Scottish People. He points to discussions around possible devolution of corporation tax to Northern Ireland and suggests the "bit of water" which separates us doesn't make a difference. Mr McIntyre-Kemp clearly isn't involved in the physical movement of goods if he really thinks that. He complains about not being able to control VAT on tourism activities - surely if its a good idea for Scotland it's a good idea for the UK? Of course arguing to reduce taxes you don't control is easy when you don't have to live with the consequences of reduced tax revenue that might result. The Nationalists do that a lot. He moans about not having power over oil & gas taxation. You might have noticed that Nationalists have been a little quiet about that one so it's surprising to hear this on his list. The block grant would be reduced on day 1 by the amount of oil & gas revenues transferred and it would be damaging to Scotland's economy if those revenues continue to decline. I guess Mr McIntyre-Kemp lacks the economic pragmatism of some of his Nationalist bed-fellows. McIntyre-Kemp suggest we need to "get serious about the powers that are needed". Maybe he and his memers should "get serious" about deciding what they will do with those we'll be getting. Full control of income tax: so we can redistribute wealth, we can reduce or increase the total income tax burden. So what are their proposals? New powers to make discretionary payments in any area of welfare: so we can use money raised through income taxation or saved in areas of devolved cost to help those less well off in our society. So what are their proposals? Instead of using his valuable airtime to make a positive case for how these new powers could be used he - with wearying predictability and embarrassing inaccuracy - resorts to asserting that these powers do not represent "substantially more devolution ... unless they meant substantially less" and complains "we've been promised more powers but we're not getting them". He even argues the powers mean "effectively we can't have a labour government". The SNP, Business for Scotland and Mr McIntyre-Kemp have become so used to complaining about what we don't have that they appear incapable of changing tack. We are getting substantial new powers; we will face tough tax and spend decisions. Making constructive recommendations around what we'll do with these powers is a lot harder than simply complaining and blaming others for all of our woes. I look forward to seeing how the Nationalist organisations propose embracing and using these new powers - they are substantial enough to expose expose their "all things to all men" promises and to require them to stop ducking economic reality. No wonder they're not happy. The Report itself is very short so I do recommend anybody who is even vaguely interested just reads it (> Smith Commission Report). I've also appended the published Vow at the foot of this article to remind those who seem to forget what it actually said. "UK legislation will state that the Scottish Parliament and Scottish Government are permanent institutions." This was never seriously in doubt and to suggest it might be was one of the more bizarre arguments used by the Yes campaign. That argument is now dead. "the Scottish Parliament will have the power to set the rates of Income Tax and the thresholds at which these are paid for the non-savings and non-dividend income of Scottish taxpayers [...] there will be no restrictions on the thresholds or rates the Scottish Parliament can set [...] other aspects of Income Tax will remain reserved to the UK Parliament, including [...] the personal allowance"
Some fuss has been made about the personal allowance point (the threshold at which people start paying tax) but all this means in effect is the Scottish Government can't lower the threshold (i.e. can't have lower earners paying tax in Scotland than England). They can effectively raise it (lifting more people out of paying tax) by setting the initial tax rate to zero (or a nominal amount) and introducing a new threshold and rate to create the effect of a higher personal personal allowance. "Powers over the following benefits in Scotland will be devolved to the Scottish Parliament: (1) Benefits for carers, disabled people and those who are ill: Attendance Allowance, Carer’s Allowance, Disability Living Allowance (DLA), Personal Independence Payment (PIP), Industrial Injuries Disablement Allowance and Severe Disablement Allowance. (2) Benefits which currently comprise the Regulated Social Fund: Cold Weather Payment, Funeral Payment, Sure Start Maternity Grant and Winter Fuel Payment. (3) Discretionary Housing Payments. The Scottish Parliament will have new powers to create new benefits in areas of devolved responsibility [...] will also have new powers to make discretionary payments in any area of welfare without the need to obtain prior permission from DWP." The highlighted paragraph is possibly the most significant in the entire report. Whilst it's unclear to me what the difference is between "benefits" and "discretionary payments", this appears to mean that although the Scottish Government can't reduce the reserved benefits they can effectively increase them through "discretionary payments". These new income tax and welfare powers surely deliver against the "extensive new powers" element of the Vow. Full control of income tax gives the Scottish Government direct control over the most powerful lever of wealth redistribution; the ability to make discretionary payments in any area of welfare (in addition to full control over the devolved benefit areas) means that the Scottish Government can increase welfare payments for the worse off (if they are willing to find the savings in other devolved cost areas and/or increase the overall income tax take). When the Yes camp highlight that only a percentage welfare expenditure is devolved it's worth remembering that the only complaint they can really have is if the Scottish Government wanted to reduce certain benefits. I don't think there are any examples in SNP policy but I could be wrong. As an example: with these powers the Scottish Government could make Food Banks a thing of the past (if addressing the issue is a simple as the Yes campaign suggested). "No detriment as a result of the decision to devolve further power: the Scottish and UK Governments’ budgets should be no larger or smaller simply as a result of the initial transfer of tax and/or spending powers, before considering how these are used"
This is just common sense, but I highlight it as it has caused some confusion (on social media at least). All this says is the Block Grant is adjusted to reflect the initial transfer of tax or spending (i.e. so that on "day 1" there is no net value transfer). There would be no impact oo the Block Grant as a result of the Scottish Government using these powers (e.g. raising more tax in Scotland wouldn't reduce the Block Grant). "The receipts raised in Scotland by the first 10 percentage points of the standard rate of Value Added Tax (VAT) will be assigned to the Scottish Government’s budget. These receipts should be calculated on a verified basis, to be agreed between the UK and Scottish Governments"
This one bugs me a bit as it seems to be a largely cosmetic exercise which introduces unnecessary reporting complexity for businesses. The block grant will be reduced by a commensurate amount and (appropriately in my view) the Scottish Government will have no power to vary VAT - so the only benefit is to create a direct link between changes in VAT-able consumer demand in Scotland to Scottish Tax revenues. I might be under-estimating the differential variability in demand for VAT-able goods as a result of Scottish Government policy but this seems like a rather second order benefit to me compared to the pain of UK businesses having to separate reporting of VAT-able revenue between sales made in Scotland and rUK. Correction: Marek Zemanik (who sat in Smith Commission meetings) informs me on Twitter that they were clear there would be no additional reporting burden for business that instead but would use "agreed estimation methods". I'm happy to be corrected but leave my initial interpretation to show how wrong I can be! This remains reserved and the SNP are unsurprisingly unhappy given that the only tax policy they offered during the independence referendum was to reduce corporation tax. The idea that we might start a race to the bottom on corporation tax within the UK (or create low-wage based competition within the UK) seems to me inconsistent with the Vow ("sharing our resources equitably across all four nations to secure the defence, prosperity and welfare of every citizen") and - more importantly -the outcome of the referendum. I tend to steer clear of party political issues in this blog but it strikes me there are some rather interesting implications of the Smith Commission Report. Whilst the Vow is still on track it has of course not yet been delivered - it will be the job of the next Westminster Government to implement the agreement. If the Conservatives gain power it is highly likely that the issue of English Votes for English Laws (EVEL) will become entangled with any implementation of the agreement; if Labour hold the balance of power it would seem implementation is likely to be far smoother (and there won't be an in/out referendum on Europe). The implications for the SNP are somewhat intriguing. To guarantee delivery of these extensive new powers and to ensure we stay within the EU they should surely favour a Labour Westminster Government. That the SNP's forecast electoral gains in Scotland will come at the expense of Labour (and increase the likelihood of a Conservative government at Westminster) should cause some head-scratching amongst more thoughtful Scottish voters. Those interested in seeing more power devolved to a Scotland that remains within the UK and the EU (and arguably those who are interested in seeing social justice delivered through re-distributive policies) may find themselves more drawn to Scottish Labour than the SNP. The SNP faces another new challenge of course: assuming the new powers are delivered they will surely need to stop blaming Westminster for all of Scotland's social ills and start demonstrating their conviction to actually do something about them; they will finally have to grapple with the difficult tax and spend decisions that they have been able to avoid to date. The people of Scotland want to know that all three main parties will deliver change for Scotland. The Scottish Parliament is permanent and extensive new powers for the Parliament will be delivered by the process and to the timetable agreed and announced by our three parties, starting on 19th September. We believe that the arguments that so powerfully make the case for staying together in the UK should underpin our future as a country. We will honour those principles and values not only before the referendum but after. It has been pointed out to me that my previous post on this topic was a critique of the Smith Commission from the Edinburgh chapter of Business for Scotland (here). That's right: they made multiple separate submissions, presumably on the basis that the more they ask the Smith Commission to read the more they will help the process. "This makes Business for Scotland the largest and most active and influential business group that campaigned in the Scottish Independence Referendum. Our 3,000 members see independence as a both the optimum form of Government for Scotland and also the best way to grow Scotland’s economy, create jobs, address inequality and increase shared prosperity for the people of Scotland." Translation: We're kind of hoping you haven't read Chokkablog on "Who do Business for Scotland represent" and so will take this assertion at face value. We see no reason why we can't assert "member" numbers based on email sign-ups to a pledge even though that means as well as members of the general public with no business interests that figure is known to include a number of family pets. Please don't ask us how many are "stakeholder members" who've paid their £100; we don't answer that question. "In the last week of the campaign public polls showed a dramatic shortening of the gap between the YES and NO options with one poll showing a YES lead. We understand that more extensive and reliable canvassing returns for political parties showed a sizeable and growing poll lead for YES." Translation: of the 100's of official polls only one outlier ever showed a lead for Yes and that wasn't statistically significant. So we're going to assert a "sizeable and growing" lead based on what we "understand" was the case. Please ignore all other polls. "in the face of what seemed a likely Yes vote"
"for more powers to be devolved to an extent that can be defined as Devo Max/home rule and as close to Federalism as possible within the confines of the UK." "If the Commission fails to do this, or the Westminster parties seek to water down or fail to implement the Commission’s recommendations, then the people of Scotland may decide to challenge the mandate to maintain the UK gained by the offer of extensive new powers." "A survey carried out by YouGov on March 24th for The Times, when compared to another YouGov survey on September 5th for The Sunday Times, demonstrates clearly both the growing support for YES 34 - 45% when compared to No change, which declined from 24% to 15% support." Translation: there were hundreds of polls carried out. We will select two from which to extrapolate wildly. "Increased devolution maintained steady support, falling slightly from 40% to 38%, but as previously mentioned had the advantage of not being critically scrutinised." Translation: when even our cherry-picked examples fail to support our argument for increased devolution we will dismiss this as not having had the advantage of being critically scrutinised. Please ignore this observation when it comes to the rest of our thesis which is that this unscrutinised option was overwhelmingly supported. (Ed: this is getting silly now). "Assuming that the Yes supporter, given that independence is not on offer, will support maximum devolution then adding the support for increased devolution in these polls would indicate that more than 3/4 of the population at the very least (and a significant majority of No voters) support the promised modern form of home rule, near federalism and extensive new powers on offer." Translation: If you cumulate our unfounded and logically disconnected assertions and ignore the point we've just made about the fact that these options haven't been scrutinised (in fact they haven't even been usefully defined) then we think we can get away with claiming 3/4 of the population support home rule. Whatever home rule means. "The definition of extensive new powers is the responsibility of the Smith Commission, but the starting point cannot be the previously stated promises of the Unionist parties, which lacked detail and any real commitment to extensive change. Those proposals offered the Scottish Government no more than 20-30% control of taxes raised, and given they were offered prior to the rise in the Yes vote in the polls, they were therefore effectively rejected during the campaign as not extensive enough by the Scottish voters." Translation: the vow has to be honoured but we insist you ignore any other promises made by the winning side because we assert that they were "effectively rejected" (Ed; huh?). "The Smith Commission should therefore not start its consideration from the point of view of what new powers can the Scottish government justify, but from the position that all powers should be devolved unless there is a mutually agreed reason for not devolving that power." Translation: please assume the vote was Yes and work your way back from there. "With full fiscal responsibility all future debt generated in Scotland should be allocated to Scotland and all sovereign debt generated outside Scotland should be allocated to the rest of the UK. Scotland cannot exercise full fiscal responsibility when it is possible that a situation may arise where paying a population percentage of the debt interest on debts generated outside Scotland may severally impact on Scotland’s budget in years when Scotland’s accounts might be in surplus. Likewise all historical debt and share of debt interest payments should be allocated to Scotland’s accounts on a contribution basis, not a population percentage basis. In this way Scotland does not start to manage its own finances either paying interest on less debt than it actually generated, nor would it pay more than it was responsible for." Translation: we want to continue to share a currency but we don't want to participate in the wider principle of pooling and sharing that's required to make this work. We basically want to have "accounting separation" such that we can engineer the economic conditions of independence whilst maintaining currency union. We don't care that this argues for economic separation which clearly goes against the will of the Scottish people as expressed through the No vote. "The Scottish Government must have full control over oil and gas taxation, revenues and policy; this must include the ability to create a Scottish sovereign oil fund to invest for the future and also to plan for the transition generations hence from domestic oil and gas production to other sources of energy and alternative economic activity in the North East. It is also vital that the blocking of west coast oil exploration and extraction be lifted so that the west of Scotland can benefit from the reserves that potentially lie off the Atlantic coast." Translation: It's our oil and we're keeping it so please ignore the bit of the vow that says "We agree that the UK exists to ensure opportunity and security for all by sharing our resources equitably across all four nations to secure the defence, prosperity and welfare of every citizen". Oh, and we think you're choosing not to exploit the untold wealth that lies within our grasp because you'd rather pursue deeply unpopular austerity measures than admit it's there. (Ed: really?). "Given that (under the current system) the Chancellor of the Exchequer sets a budget for the implementation costs of applying Government policy in England alone and then the Barnett formula sets the budgets for the rest of the UK with an element to address extra costs. With full fiscal responsibility the Scottish Government would not be forced to react to cuts in the English budget but would set spending priorities on the basis of taxation raised, and as explained with the R&D example above bespoke policies could lead to increased taxation revenues and therefore increased spending ability for the Scottish Government." Translation: we're hoping you haven't read the vow so you missed the bit that refers to "the continuation of the Barnett allocation" because we'd rather scrap it and be fully economically independent. So please don't keep this element of the vow either (Ed: are you sure about this?). "Obviously the currency union will be maintained and the Bank of England will continue in its current role, but given Scotland’s greater fiscal responsibility and the more federal/modern home rule within the UK structure of the relationship then it would seem natural that the Scottish government be granted a seat on the Bank of England monitory policy committee and be represented on most regulatory bodies." Translation: although we've argued for a level of "accounting separation" (including balance sheet separation) between Scotland and rUK that is incompatible with effective currency union, "obviously" we assume it will be maintained. Basically we just want independence whilst continuing to share a single currency; you know, like the option that was rejected by all Westminster Parties during the campaign? "The interlinked and interdependent nature of economic and fiscal powers means that a slow and piecemeal devolution process will not work." Translation: It's really complicated so best to rush it. "Playing the Westminster party game of trying to figure out what percentage of tax raising powers would slow the Scottish population’s growing support for independence would create a halfway house between what powers Scotland needs to thrive and ultimately become the worst of both worlds." Translation: Forget the Edinburgh Agreement and talk of "working together" - we don't trust "Westminster parties" and never will. "The Scottish Government needs to have control over immigration policy. This would, of course, require border control security and policy to be set by the Scottish Government and in the spirit of extensive/full fiscal responsibility Scotland would be responsible for the costs of its own border security. Given the need to consider interconnectivity, this would also require coastguard and maritime protection services to be fully devolved to Scotland, as many of Scotland’s borders are maritime borders." Translation: Forget all that stuff we said during the referendum about talk of borders being scare-mongering; even our version of honouring the No vote will require separate Scottish borders to be maintained. "We believe that, to be binding, a referendum on EU membership leading to the UK’s exit must not just generate a simple majority across the whole of the UK but have a majority in each home nation. " Translation: Just because it's inconsistent to argue that Scotland could vote to leave the UK without the rest of the UK voting on the issue whilst arguing that the rest of the EU can't vote to leave the UK without the assent of Scotland ... that won't stop us arguing it. "If the power to veto an EU exit is not granted, then the UK that the Scottish population voted to stay within on September 19th will be deemed not to exist anymore." Translation: We know we can't really argue that the risk of a UK EU exit wasn't widely debated during the referendum but let's just ignore that and pretend the Scottish people weren't smart enough to make a balanced assessment of that risk. "We will work in good faith to suggest and define powers and policies that will help Scotland thrive within the UK, but believe that if the powers promised are not delivered the Scottish people will be extremely disappointed and may wish to revisit the independence question again." Translation: We have argued here for a wildly exaggerated version of the vow in some areas and to directly ignore it in others. We know that what we've asked for can't possibly be delivered and we're simply preparing the ground to cry foul whatever you recommend. We exist with the sole aim of pursuing independence - it is not a means to an end for us, it is the end itself - so we really hope we get another referendum soon because it's what we exist for. "We cannot have a constitutional fudge and end up with the worst of both worlds, especially give that Devo Max was not allowed to be officially on the ballot paper and so it was not fairly and democratically examined in the way that no change and independence were." Translation: We recognise this Devo Max interpretation we've spent out entire submission arguing for has not been "fairly and democratically" examined but - er - please do as we say anyway. I've covered at length elsewhere in this blog the background to "Business for Scotland"; they are a thinly disguised SNP construct that - post referendum - seems to have given up any pretence of being apolitical. I've observed before that one of their founding Directors (Jim Mather) is the former SNP Minister for Enterprise, their CEO (Gordon MacIntyre-Kemp) is a failed SNP local council candidate and the First Minister is fond of using them for photo-opportunities and attended their annual fund-raising dinner. We can now add to that the fact that Business for Scotland Director and spokesman Ivan McKeee - who made a very public show of outrage when I suggested in a public debate that he was aligned with the SNP - has recently announced he has joined the party. "any major change to Scotland’s place within the UK requires only the domestic Scottish-based representatives of Scotland and the assent of it’s people to make it so in terms of a democratic process and decision"
"This Commission should be viewed and conducted in line with the spirit of the Edinburgh Agreement; that is, to work to remedy the fact that ‘promises and pledges’ made in the Referendum campaign period by the main UK political parties (including the ‘purdah’ period) are meaningfully delivered as a baseline foundation from which to deliberate further. Anything less than that will be an effrontery to democracy and justifiably render this Commission and its findings or recommendations void and justifiably precipitate legitimate political, legal and moral action on behalf of the people of Scotland, to deliver full independence." Translation: if you don't deliver what we interpret the vow to have meant we'll just declare your recommendations void and become independent anyway (because we didn't like the actual referendum result). "The ‘No’ vote that prevailed in the referendum does not sanction or mandate the UK government to consider adding a minimum level of further self governance, to the existing devolution structure. It if anything, the vote sanctioned the opposite. It was given in anticipation of a maximum level of powers and capabilities and must therefore be seen as endorsing a position as close to independence as possible"
"Everything should be devolved apart from specific, agreed, reserved items – but those items must be expressly agreed with, and by, the democratically elected representatives that are elected in Scotland, and hence must reflect the ultimate sovereignty of the Scottish people. It is not for those that populate London, Westminster or Whitehall to limit, decide or confer. Nor indeed is it within their competency. Again, anything less than a true reflection of will, that results in an express and sanctioned agreement will be a travesty of democracy, a stitch-up and a lost opportunity to produce something of profound and lasting merit"
Translation: in case you missed it earlier, let's reiterate that despite the will of the Scottish people being to remain in political union with the rest of the UK we urge you to ignore that because any politicians outside Scotland are incompetent. In fact we're already preemptively whipping ourselves into a fervour of outrage - we can't resist using words like "travesty" and "stitch-up" - because let's be honest we don't really care what you come up with; we'll cry foul if it's anything other than de-facto independence and this submission is just letting you know that. "The current ‘democratic deficit’ is of course debatable, depending on perspective; yet what is clear is that things on both and all sides are not as they should be and any deficit needs to be addressed convincingly and completely. If that democratic deficit is not reduced to the point that most of the Scottish people would wish it (that is, the aspirations of the overall majority of the electorate, whether they voted Yes or No in the Referendum), then it should be clear to the Commission that the only way to resolve this would be when, and how, Scotland chooses to take the step to full independence unilaterally"
Translation: If the implied threat earlier wasn't clear enough let's be explicit about this - if we don't like your answer we'll just make a Unilateral Declaration of Independence. It doesn't matter whether people voted Yes or No in the referendum; we're going to claim they're on our side either way. independent, and this starting perspective prevents discourse and deliberation becoming unnecessarily complex. Looking at where there are existing and likely competing agendas, aspirations and desires between the Nations making up the UK, is a fantastic and logical place to start"
Translation: Don't go troubling yourself with any complex discourse or deliberation or worry that Independence was resoundingly rejected by the Scottish people; just pretend the vote was actually Yes so your recommendations have to be as close to independence as possible. I can't begin to imagine how helpful the Smith Commission will find this submission from this self-styled "political party neutral business and economic policy think tank"